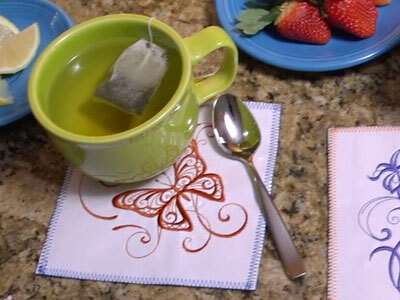 Make a set of waterproof drink coasters using oilcloth! 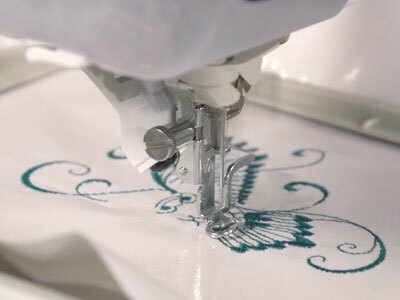 This sturdy fabric, also called vinyl, is the perfect material for making coasters that can be used for years to come -- and beautiful embroidery gives them a style unique to you and your decorating scheme. Choose oilcloth with a knit or fuzzy back. That extra layer helps to hold the oilcloth together after it's penetrated with the needle. 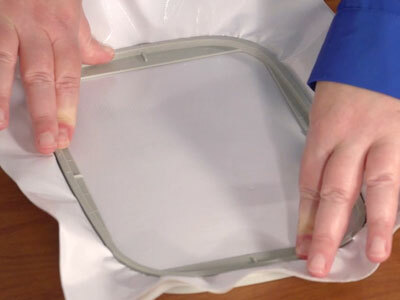 Hoop the oilcloth with one piece of medium-weight cutaway stabilizer. When choosing designs for oilcloth, choose designs that have open areas. Avoid anything heavy or blocky. 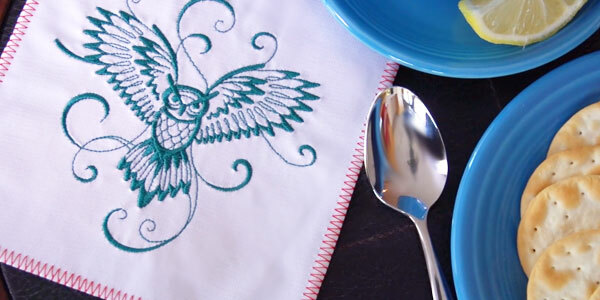 This inky owl has open areas and simple stitches, and it's an excellent choice for oilcloth. 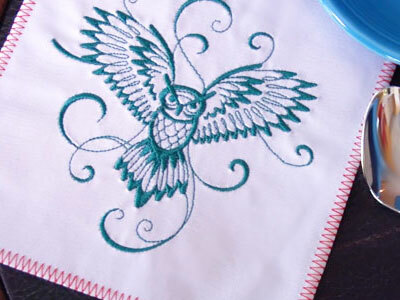 Use a size 11 or 75/11 sharp sewing needle when embroidering on oilcloth, rather than an embroidery needle. 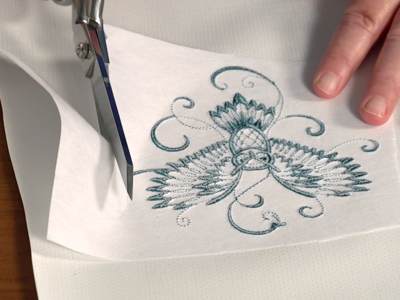 A sharp sewing needle has a smaller, finer point than an embroidery needle, so it will make smaller perforations in the oilcloth. 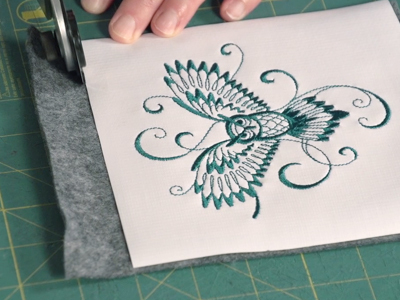 Cut the embroidered oilcloth into a 7" x 7" square. 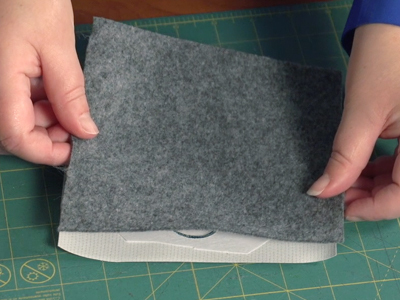 Cut a piece of felt for the back, too. 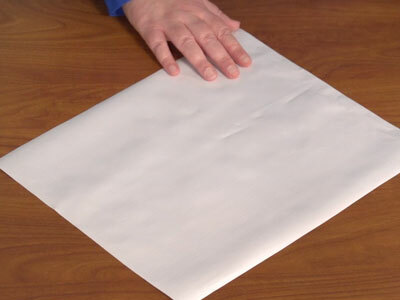 Use temporary adhesive to affix the felt to the back of the oilcloth. Turn the coaster so the oilcloth is facing down. 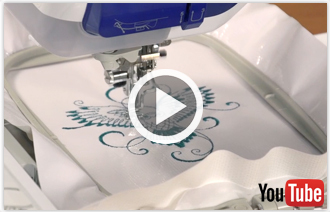 The embroidery foot will glide smoothly over felt -- but it tends to get stuck on oilcloth. That's why the felt side is up, and the oilcloth side is down. 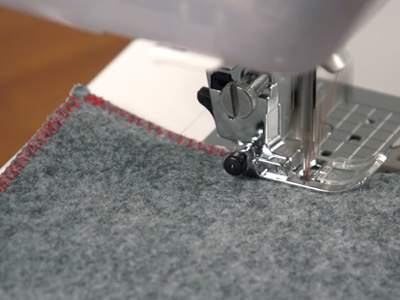 Stitch the felt and oilcloth together with a zigzag stitch. 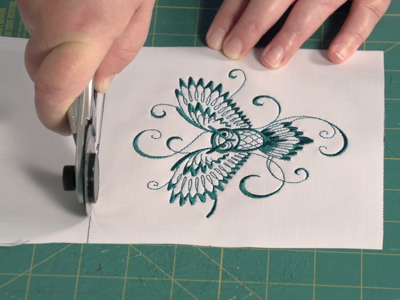 Repeat the steps to make a set of four coasters. 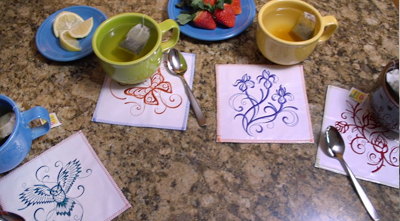 The oilcloth makes these coasters easy to clean -- and the embroidery designs make them unique to you. 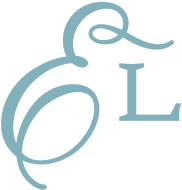 Change the designs for the various seasons, holidays, or decorating schemes. 6.91" x 9.20" | 7.53" x 7.80" | 5.86" x 7.80" | 4.86" x 6.44" | 3.86" x 3.87"
6.85" x 9.06" | 6.35" x 7.82" | 5.85" x 7.31" | 4.86" x 6.42" | 3.20" x 3.87"